China has doubled the size of its economy in real terms every eight years. According to a Congressional Research Service report, from 1979 to 2016, China’s average annual real GDP was around 9.6 percent. To further strengthen its position in the current world order, in 2013 Chinese President Xi Jinping introduced the One Belt One Road (OBOR) project. OBOR, now known as the Belt and Road Initiative (BRI), is a systematic project that will be built cooperatively, meeting the interests of all involved, and with effort to integrate the development strategies of the countries along the route. According to the State Council of the People’s Republic of China official site, the BRI will connect Asian, European and African countries more closely and promote mutually beneficial cooperation to a new high and in new forms. In ASEAN, Indonesia has the biggest population with a geographic profile that has great potential to develop interconnectivity infrastructure. According to the International Monetary Fund, Indonesia as a developing country ranks fifth in Asia in terms of GDP. Recognizing Indonesia’s potential, it makes sense that BRI projects in the country encompass a broad range of sectors, including transport and energy. In line with China’s growing its leadership on global environment issues, the Chinese central government is giving strong policy support for the “Green Belt and Road,” aiming to develop global energy interconnection and achieve green and low-carbon development. The narrative to be more environmentally conscious is also growing in Indonesia. The national energy policy issued in October 2014, targets an increase in the share of renewable energy (RE) in Indonesia’s energy mix to 23 percent by 2025 and 31 percent by 2050. However, based on Ministry of Energy and Mineral Resources (MEMR) data, until 2015 RE excluding biomass only represents 4 percent of Indonesia’s energy mix. The current low attractiveness of renewables investment is the most important challenge according to the International Institute for Sustainable Development in 2018. Coinciding with Indonesia’s low level of investment in the RE sector, can massive investment under the BRI play a significant role in helping Indonesia to achieve its energy target? Departing from their experience in boosting RE in only four years from about 100 GW installed capacity to around 600 GW by the end of 2017, China might be able to help Indonesia in boosting its RE development. China leads the world in solar module production. Apart from that, according to a report by the Institute for Energy Economics and Financial Analysis, in 2016 China increased its foreign investment to $32 billion. Specifically talking about BRI, the report said that the initiative has already driven $8 billion of solar equipment exports, making China the number one exporter of environmental goods and services. However, Chinese investment in RE through BRI is still not happening in Indonesia. According to Minister Ignasius Jonan during the 5th Indonesia-China Energy Forum, the Indonesian renewable sector is still dominated by American, European and Japanese companies. Quoting the journal article China’s new Eurasian ambitions: the environmental risks of the Silk Road Economic Belt (Tracy et al., 2017), the Chinese traditional focus on non-renewables investment, especially coal, seems to still continue at least until 2016. This has been confirmed with the fact that in 2013-2015, China disbursed a total of $746.2 million as official development assistance for the Indonesian coal sector. The number shows the potential that can be tapped by Indonesian RE policymakers and practitioners. This is in line with the statement of the Director-General of the International Renewable Energy Agency during the 2017 Belt and Road Forum for International Cooperation, saying that BRI can be a means for China to distribute RE technology and resources to help other countries interconnect electricity grids and deploy more RE. Looking into the potentials of BRI to boost Indonesian RE, there are some issues that need to be addressed. First, the rising concern of BRI participation leading to a debt trap. This anxiety is not without reason. The Center for Global Development published a paper about eight countries that are at high-risk of debt distress due to BRI loans. From the Indonesian side, a comprehensive risk-assessment must be taken into account before having any RE cooperation under BRI, making sure Indonesia won’t fall into a debt trap. Second, Beijing might need to settle some unresolved issues from the past related to Indonesia-Chinese Fast Track Program-1 (FTP-1) electricity project in 2004-2009. According to the former Minister Sudirman Said in 2015, most of the China-made power plants built for FTP-1 did not meet the Indonesian expectation. In order to convince Indonesia to move forward with RE cooperation, China needs to prove themselves a reliable partner. Third, it is necessary to create a conducive climate for RE investments. 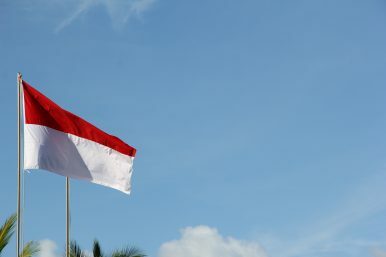 This is homework for the Indonesian government to make sure that the regulatory pathways are set in place to create a more attractive environment for RE investments, and to ensure that the cooperation is sustained under the changing political dynamics, especially with the presidential election happening in 2019. To conclude: Is there a significant role for BRI to play in Indonesian RE sector? Considering Chinese experience in boosting their own RE capacity as mentioned above, the potential of renewables in Indonesia, and the strategic importance of Indonesia for BRI, the answer seems to be that there might be, not only for Indonesian but also for the wider ASEAN RE sector. There have been discussions in the region, for example Myanmar wonders if BRI can solve its financial issues for RE. The pathway is still long, and Indonesia needs to tread carefully. The most important thing is for actors in Indonesian RE to be rational, to not be too scared or too optimistic, as there are good reasons for both concern and excitement. Zahrana Nadifa Ramadhanty was a Technical Intern at the Policy Research & Analytics Department of ASEAN Centre for Energy. Winning Hearts on China’s Belt and RoadChinese Culture Gradually Penetrates IndonesiaWill Foreign Policy Matter in Indonesia’s Presidential Election?Thailand’s Renewable Energy Transitions: A Pathway to Realize Thailand 4.0How Far Does the China Belt and Road ‘Pushback’ Really Go?